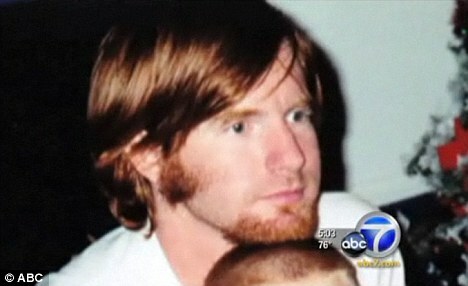 Kelly Thomas suffered from mental illness and homelessness until July 5, 2011, when police assaulted and TASERed him for "resisting arrest". Shocking: This picture shows the extent of the injuries Thomas received after being beaten up by six police officers in Fullerton, California. Eye witnesses at the scene claim the six officers tasered him five times and beat him beyond recognition, which the disturbing photo of him in hospital shows. 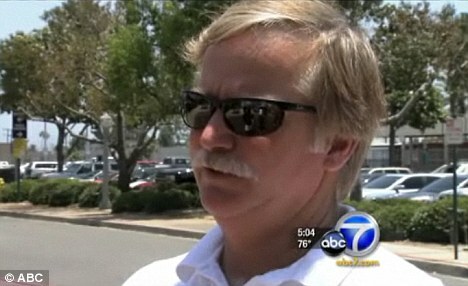 Ron Thomas, father of Kelly Thomas, is a former deputy sheriff. He said he now feels ashamed for having ever been a law enforcement officer. He has been in the area his son was attacked handing out flyers and asking people for help. 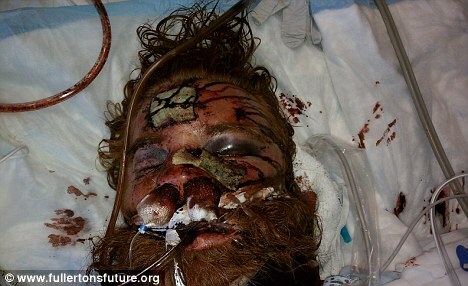 Here is a vivid example of the brutality of the rogue cops of Cook County. This incident happened in Streamwood, a neighboring village of Hoffman Estates, my hometown. In this case the video clearly shows the cop using excessive force on a person. As typical of such cases, the victim of the beating was charged with resisting arrest, although he clearly did not resist in any way. The growing use by local police departments of the supposedly "non-lethal" TASER electro-shock weapon has caused the deaths of nearly 200 citizens in the United States and Canada. 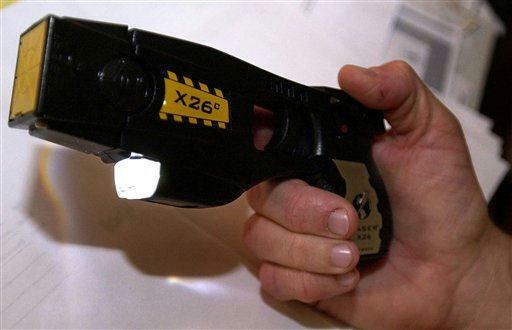 There are reportedly nearly 200 citizens of the United States and Canada who have been killed by the electro-shock police weapon known as the TASER, according to the Auckland, New Zealand-based organization Campaign Against the TASER. From Woonsocket, Rhode Island, to Wisconsin, Colorado, Arizona and California, there are numerous current news reports about the death of a local individual caused by excessive force used by the police involving the TASER weapon. Photo: The X26 TASER, the police torture/compliance tool that was used on Bollyn in the "drive stun" mode, which is when the square end of the device is held directly against the body. The "drive stun" cannot be applied from a distance or on a moving subject. The "drive stun" can only be used on an individual who is already restrained and held down. This is, by definition, an application of torture. It should be noted that the "drive stun" is used on a daily basis by police across America. In 1997, Robin Cook, then Foreign Secretary of the United Kingdom, said the British government considered all such electro-shock weapons, including the TASER stun gun, commonly used by police in the United States, to be equipment "designed primarily for torture." Cook said the British government would "press for a global ban." that he would ban from Britain. TASER is an acronym for "Thomas A. Swift's Electric Rifle," Thomas Swift being a science-fiction character from literature for boys. The actual TASER weapon was designed in 1969 by Arizona inventor Jack Cover and is produced today in a variety of models by TASER International, Inc. of Scottsdale, Arizona. Some 7,000 police departments in the United States and Canada currently use TASER guns. No spokesman from TASER International was available to comment for this article. The TASER gun can be used in two ways. It can either be fired from a short distance at an individual or it can be used as a stun gun that is placed directly on the individual before releasing its charge of 50,000 volts – and higher. The capacity to inflict repeated and extended shocks at the push of a trigger makes the TASER open to abuse in both dart and stun gun mode, critics say. In some cases, individuals have been shot with TASER darts, then threatened or stunned with repeated jolts during transportation or custody. Researchers with the Non-Lethal Weapons Research Project at the University of Bradford (UK), asked, "What is it like to be incapacitated by a TASER weapon?" "When fired the TASER propels two barbed darts with trailing wires that attach to the skin or clothing. Upon impact a 50,000-volt electric shock is discharged into the victim for a period of five seconds. Whilst the barbs remain attached this discharge can be repeated multiple times by pulling the trigger again (and again)", researchers Nick Lewer and Neil Davison wrote in their report, "Electrical stun weapons: alternative to lethal force or a compliance tool?" "The immediate effects are debilitating. The current causes involuntary muscle contraction and extreme pain. The victim completely loses control over their body and falls to the floor until the current stops. The whole experience is both painful and degrading", the Bradford study said. Amnesty International (AI), the leading anti-torture watchdog organization, has long called on "U.S. state, federal and local authorities to suspend all transfers and use of TASERS and other electro-shock weapons pending a rigorous, independent inquiry into their use and effects." AI considers the use of TASERS to constitute "cruel, inhuman or degrading treatment – and torture." AI has reported that TASER devices are frequently used to torture and interrogate people such as political prisoners and that TASERS are used by police in the U.S. "particularly for torture to 'gain compliance.'" 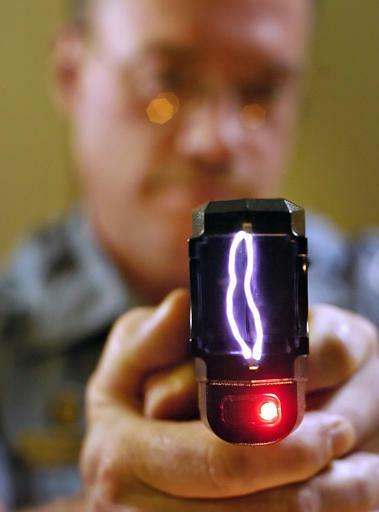 Law enforcement agencies in the United States, however, have not heeded AI's call to suspend use of TASERS. Today, some 7,000 law enforcement agencies, out of a total of 18,000, use TASERS as part of their arsenal. A 2004 study by The Denver Post found that in one county, one third of the 112 people shot with a TASER had been handcuffed at the time. AI has repeatedly protested about subjecting individuals to TASER shocks while in restraints. This is, however, exactly what happened to me, in front of my wife and 8-year old daughter, during a brutal attack at my home near Chicago last week by three still un-identified armed men apparently affiliated with the Hoffman Estates Police Department. I was tortured with the TASER stun gun while I was in handcuffs and pinned down by two of the men, one of whom knelt upon my head. The police department subsequently fabricated an utterly false report of the incident, which they passed on to the corporate-controlled media. The Chicago Tribune based its brief article on my arrest completely on the fabrications produced by police. "Police used a TASER to stun a Hoffman Estates man during a struggle after he called authorities to report a suspicious vehicle that turned out to be an unmarked police car", the Tribune article began. The last sentence repeated the police lie: "The officers stopped Bollyn from entering his house and stunned him with Taser after failing to subdue him." Clearly, this is an essential lie that the police need the mainstream media to support. As my wife and daughter can attest, there was no struggle or resistance from my side as I was attacked by the three thugs from behind. The square end of the TASER weapon, and its charge of 50,000 volts, was applied to my lower back as I was handcuffed and pinned down by two men on my front lawn. 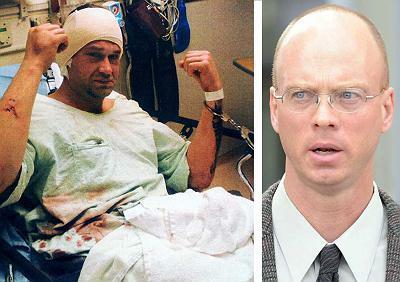 As I later wrote the Tribune, "The only possible explanation for the gratuitous use of the TASER weapon in this case is that it was applied to torture me and inflict long-term damage." A medical expert has informed AFP that TASER energy can cause heart attacks, blood clots, and long-term damage to vital organs. In such instances, AI reported in 2004, the force used by the police officers "violated international standards prohibiting cruel, inhuman or degrading treatment, as well as international guidelines on police use of force." Yet in most cases documented by AI, the police officers were exonerated and not found to have violated any official policies. The Hoffman Estates Police Department appears to be preparing a similar whitewash and has begun an internal investigation to be headed by a Lt. Ted Bos, an officer who has a well-known record of committing similar acts of police brutality, on and off the job. In 2004, for example, the department paid $100,000 to Sergio Pantoja, a 2001 victim of police brutality at the hands of Bos and two other officers. Now Lt. Bos is being called upon to investigate the Bollyn incident. At the village board meeting on August 21, I told the mayor, the board, the chief of police and their lawyers, that a corrupt "in-house" investigation headed by an officer with a record of police abuse was simply unacceptable.